There's virtually no end to the number of reincarnations a piece of this time-honored building material can make. Here are a few creative examples of careful reclamation—from walls and floors to furniture and artwork. 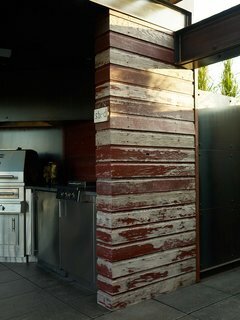 "It was a natural choice," says Adrian of using reclaimed and rescued wood. 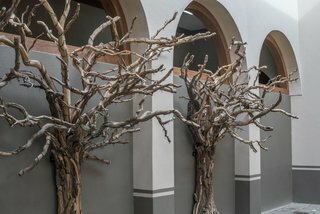 "I didn’t want to chop down a whole lot of trees." 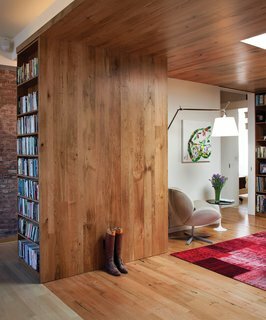 The walls and ceiling are lined with planks of butternut harvested from diseased trees in Vermont. 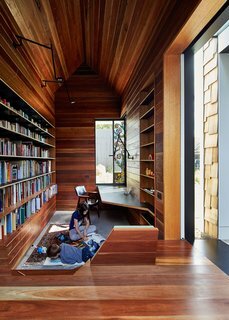 The library is lined in reclaimed spotted gum that Maynard says "brings with it wisdom from its previous life." A stained glass window by Leigh Schellekens makes the contemplative room feel like a domestic chapel. 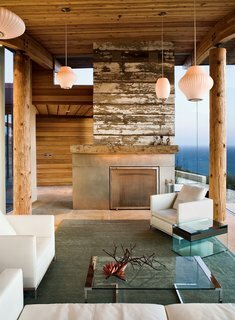 A reclaimed-wood fireplace is a defining feature in this living room. 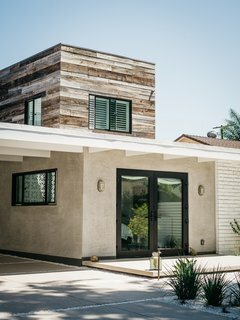 The exterior, which was taken down to the studs and rebuilt, pairs the original concrete block with reclaimed hemlock, which clads two sides of the upstairs addition. 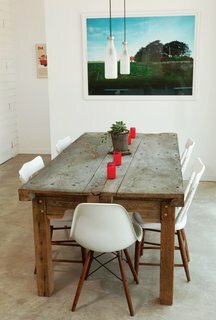 The dining table in the Suttles and Shah residence is made from two old Mexican doors. 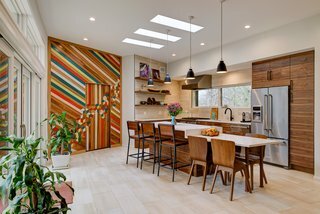 The kitchen features a reclaimed-wood installation by artist Blake Sloane from Hyattsville, Maryland. Sun terrance sculptures were created from reclaimed wood found in Jalisco, Mexico. Developer Doug Burgum opted for locally-sourced reclaimed wood from a demolished barn to build sections of the pergola covering the cooking space. 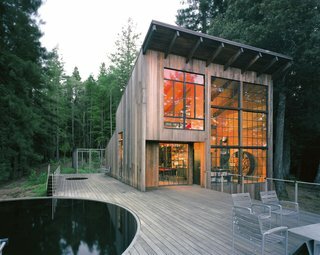 San Francisco firm Lundberg Design built this cabin out of reclaimed materials, including the exterior redwood, which has aged into an elegant, ashen gray. In a past life, the pool acted as a water tank for livestock. The goal of the renovation was to get the most out of every square inch, since there was no way to expand beyond the apartment’s historic envelope. 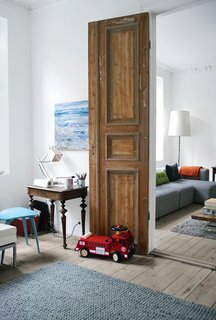 Always-open double doors—stripped down to their original wood—connect the railroad-style parlors to create an open, loft-like feel.